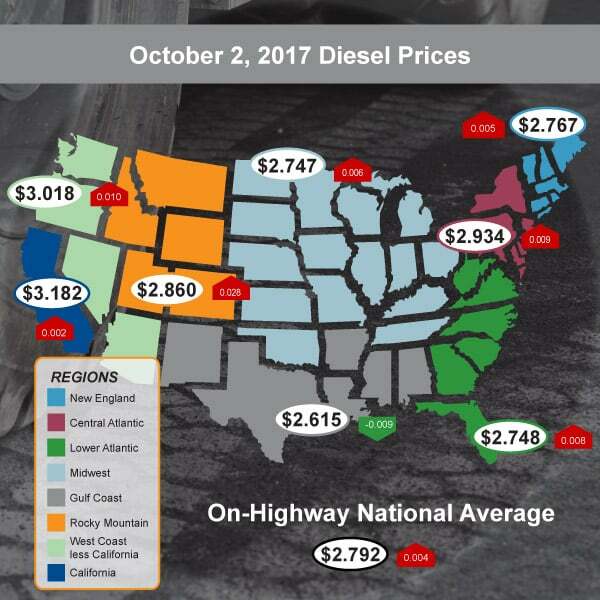 Diesel prices are going back up according to the U.S. Energy Information Administration. The on-highway national average rose a total of $0.004 to $2.792 a gallon. The highest increase came from the Rocky Mountains with a bump of $0.028 up to $2.860. California remains the top average with a price of $3.182 following a $0.002 jump. The Gulf Coast saw this week’s only drop with a change of -$0.009 to maintain its place as the lowest average coming in at $2.615.